All Pennington homes currently listed for sale in Pennington as of 04/22/2019 are shown below. You can change the search criteria at any time by pressing the 'Change Search' button below. If you have any questions or you would like more information about any Pennington homes for sale or other Pennington real estate, please contact us and one of our knowledgeable Pennington REALTORS® would be pleased to assist you. "Country living at its finest. Nestled in hundreds of acres of preserved open space with meandering streams and ancient trails yet only 12 miles from Princeton and 8 miles from Lambertville / New Hope. This nearly 12-acre estate is a truly expansive wonderland for hiking, mountain biking, horseback riding, and cross country skiing. The natural offerings are beautifully complemented by a handsome pool and patio complex, well-established gardens, and a large barn, which could be adapted for stabling horses. Then there is the residence, which evolved from a circa 1750s structure at its core that is now a gracious fireside dining room, and grew with an iconic stone addition that has become the face of the property. More recently, the residence was masterfully restored and expanded with a marvelously conceived addition to host large-scale events, supported by modern conveniences. The legacy of the standards by which this property has been maintained and updated will not disappoint. Five generous bedrooms and three baths on the second floor are each arranged with a strong sense of privacy and tranquility. Nearly 9 acres are farmland assessed as woodlands ($35/year taxes). Four independent heating and cooling zones allow energy consumption to be moderated, and a silent diesel generator easily powers the whole estate, when needed. Easy access to Princeton for cultural, scholarly, and business options, and all of the dining and entertainment offerings of surrounding communities with their charming downtowns. Convenient access to major highways, airports, and train stations. Easy living whether full time or the perfect country retreat." "This extraordinary 9,070 sq. 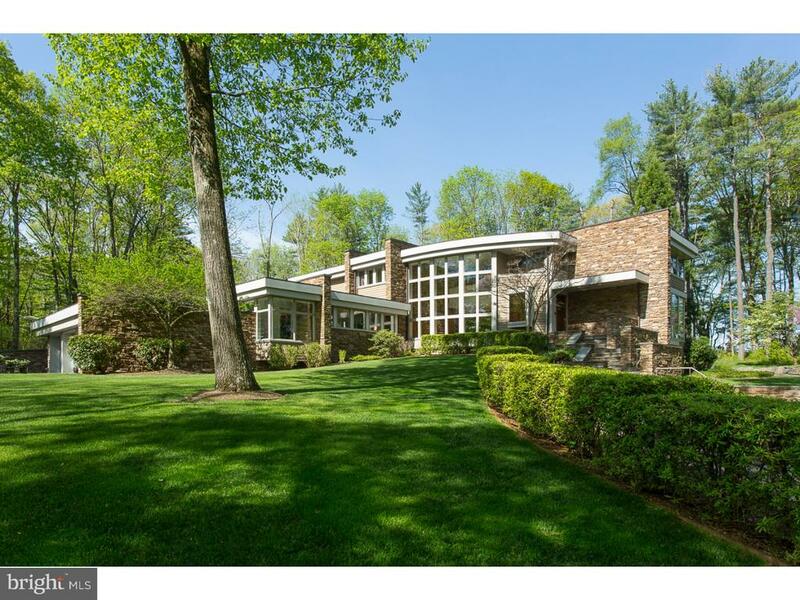 ft. custom estate home in beautiful Elm Ridge Park. *Minutes from downtown Princeton*. This luxury property, doubled in size since 2010 and minutes to Princeton University.Minutes to shopping and major roads. This is dramatic luxury living at its finest. The circular driveway brings you to this tranquil landscape which is breathtaking with an inspired 4+ acres, enjoyable English Garden & picturesque classically designed grounds..with several very large resort like decks, a spacious covered outdoor Full stainless & granite outdoor kitchen & very large enclosed & covered gazebo with fans & operable screens & speaker system. The beautiful spacious blue stone patios & 2 fire pits allow for several groupings, if your entertaining large groups or intimate get together's. To be noted is the Hardy plank, Stucco & Stone exterior, full house generator, home automation system w/ alarm & camera monitoring all of importance. Main level room 35'x 23'dedicated to a Hydro-Pool w/automatic cover & wet bar & cabinets. 2nd floor enormous conference room w/ a full bath, kitchen wet bar & it's own deck. This property affords every modern amenity one could desire. Of importance is the spacious bedroom on main level w/ full bath, 3 staircases to the upper level, 2 elevators, vaulted & tray ceilings, moldings, hardwood flooring, porcelain & travertine tiles throughout most of the home, large windows, arched entry ways, plus 8 baths..etc. No expense spared w the additional 2 staircases to the custom finished extravagant walkout lower level that features a gorgeous home theater, full kitchen w/granite & stainless, a large wine vault, large exercise room, large pool table rm, card table rm... & the sauna & steam room which happily complete this level. Gorgeous living & dining room & not to be missed is the expansive perfectly designed state of the art enormous kitchen with beautiful white cabinets, granite, large island, stainless appliances, both butler's pantry "
"This elegant country Contemporary (think Frank Lloyd Wright meets the twenty-first century), with soaring 18 thick stone walls converging with walls of glass to showcase beautiful views from every room, sits upon 15 beautiful, elevated acres with a river running through it. Constructed of the finest materials, the Bulthaup kitchen, one of the finest German designs, includes appliances by Miele, Gaggenau, and Sub-Zero. The flooring is of birdseye maple, Italian and Spanish limestone. Dornbracht bath fixtures and handmade built-in hardwood and cabinetry are found throughout. Upper and lower laundry rooms, built-in outdoor gas barbecue grill, and three-car garage. The home is heated and cooled by a geothermal system which is both energy efficient and environmentally conscious. All this is protected by an automated generator system which will power the entire home in the event of a power outage." "7.50 acres of flat land with cape cod style structure and large garage supported by well and septic. Public water available at street. Sewer line coming soon. Property backs to railroad with a switch for potential commercial access. Zoned SPECIAL INDUSTRIAL and FARMLAND ASSESSED. Perfect location with easy access to Rte 31/95/295 interchange. Owner financing available." "The crown jewel of Elm Ridge Park, Elm Ridge Farm dates its legacy back to 1798. Nestled within the neighborhood, this private oasis beckons with its scenic pond, shared by just 3 houses, its expansive bluestone terrace, and sleepy rolling lawns. The residence has been lovingly maintained and thoughtfully upgraded by designer and homeowner Andrew Outerbridge. From the comfortable formal spaces with hardwood and Mercer tile accents to the spacious country kitchen with its center island and handy beverage bar to the modern guest cottage and the gracious barn, Elm Ridge Farm is a unique and idyllic retreat with the bonus of a central location. Four bedrooms span two upper floors in the main house with the owner's suite providing a soothing haven with its cathedral ceiling, deep sills, fireplace, and a pampering marble bath. Spacious but filled with warmth, there are nooks to relish a good book or a game of checkers throughout. Time slows down just enough here to rejuvenate; yet Princeton's caf~s, culture and theaters are only minutes away." 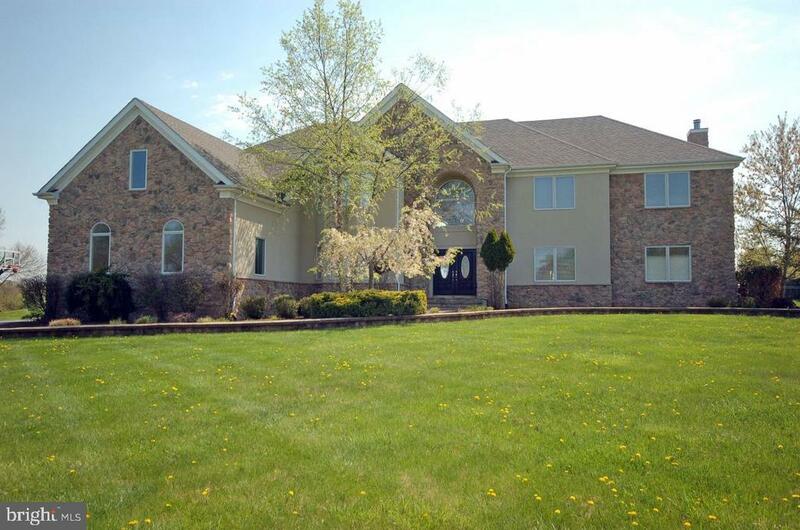 "New QUICK DELIVERY home in Hopewell Township by Rockwell Custom. Enclave of 8 custom homes. 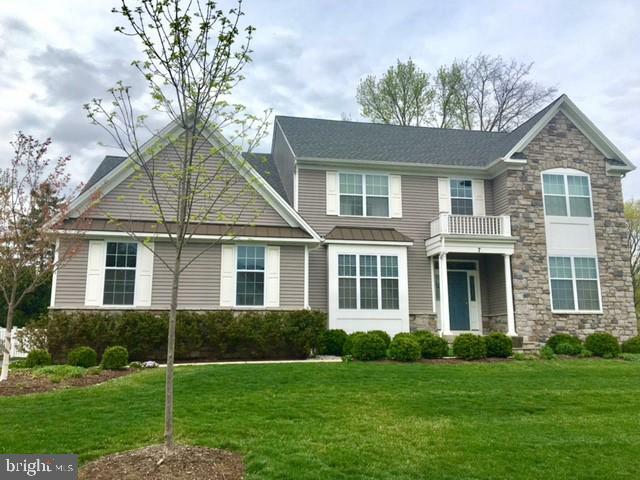 Builder is offering a discount of 50% off all structural and design upgrades up to $200,000 The community is located in the award winning Hopewell Twp School District and convenient to Pennington School, PDS, Stuart Country Day. The community is located right outside Pennington Borough, close to the Pennington Lawrence Trails, parks, organic farms and less than 10 minutes to downtown Princeton. Convenient to Rider University, TCNJ, Capital Health of Hopewell, Penn-Princeton hospital, train stations, Routes 95, 295 and 1. 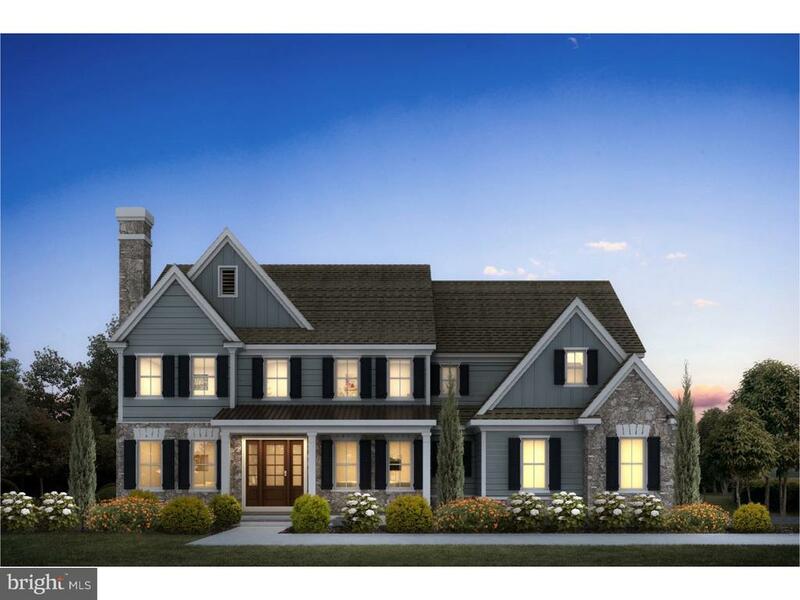 New construction, subject to change"
"Offering just the right dose of country living without sacrificing convenience -including a short stroll to Hopewell Valley High School and the library, Hedgecroft traces its heritage to pre-revolutionary times. Over its history it has been transformed into a comfortable, distinguished property featuring a turn-key farmhouse, well stewarded by the same family since 1968. Four bedrooms, spacious living areas, nine-foot ceilings, original wavy glass windows and wide plank pumpkin pine flooring, are just some of what you will find here. The home has been beautifully expanded over time with 3 finished levels. 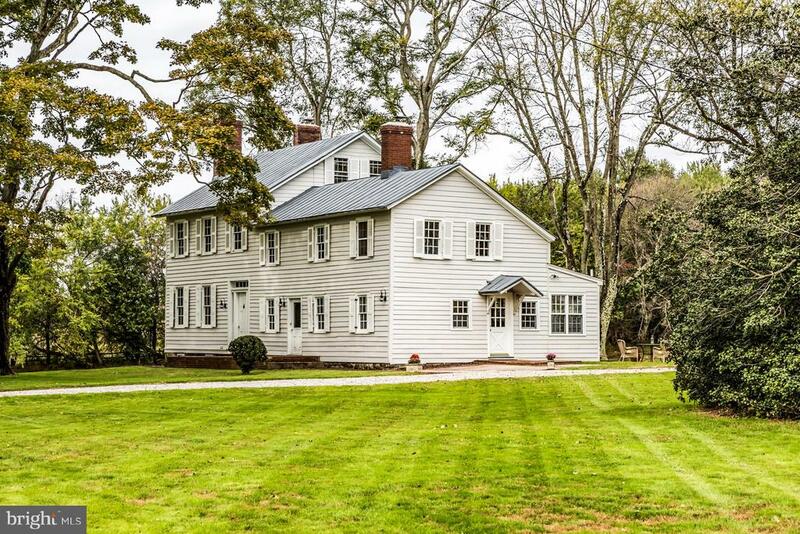 This property includes a mortise and tenon timber-framed barn with a cedar shake roof dating back to when novelist John Updike's great grandfather lived here, a smokehouse, carriage house and a tool shop on nearly 27 acres. From the house or on the stone patio enjoy broad views of the pond, stocked with bass, and the gentle green meadow beyond. Deer,fox, mallards, geese, heron, and red-tailed hawk visit Hedgecroft daily. Included at this price is a 6.97 acre back meadow which is an approved building lot accessed from Scotch Road,Block 62.01; Lots 17 and 47. The property is currently farmland assessed and buyer will be responsible for paying any rollback taxes should they elect to discontinue." 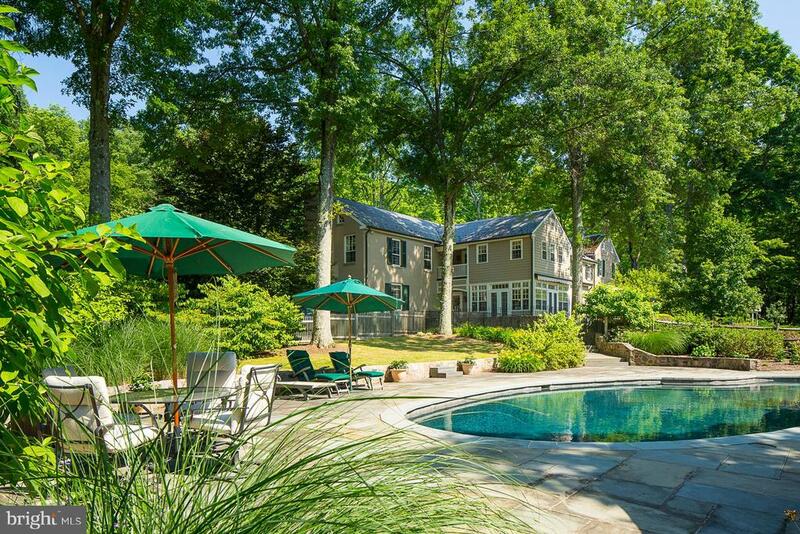 "Wood Song Just beyond a solid stone-walled entrance, Wood Song is a 1957 Colonial revival 19-acre estate, which includes a working farm (farm assessed) and pastures. The residence infuses time-honored craftsmanship with modern amenities and conveniences. 6 Bedrooms (2-Masters); 4-full & 2-half baths; 4 wood-burning fireplaces; terracotta-tiled foyer with spider-web over-door; modern kitchen; breakfast nook; a curved staircase; an enormous living room; family room with 12'x7' bay window; first floor office, a formal dining room with floor-to-ceiling bay windows; a 400-bottle wine cellar; expansive electric-awning; slate roof; oversized 2-car garage; tile & hardwood floors throughout; and a back-up generator that can power the entire house and outbuildings. It also has a large gated pool and a separate large garage/storage barn. New high flow well (2015) and new septic (2014). For equestrians, the three-stall stable has a heated tack room (with upgraded plumbing and electrical) and has a separate driveway, riding ring and pasture. The 20m x 40m riding ring was professionally designed and constructed with reinforced railroad-tie walls with a multi-layer, full drainage base. There is a center railroad-tie island encompassing a large shade tree, which provides cool ample shade for the stable, the riders and their animals. 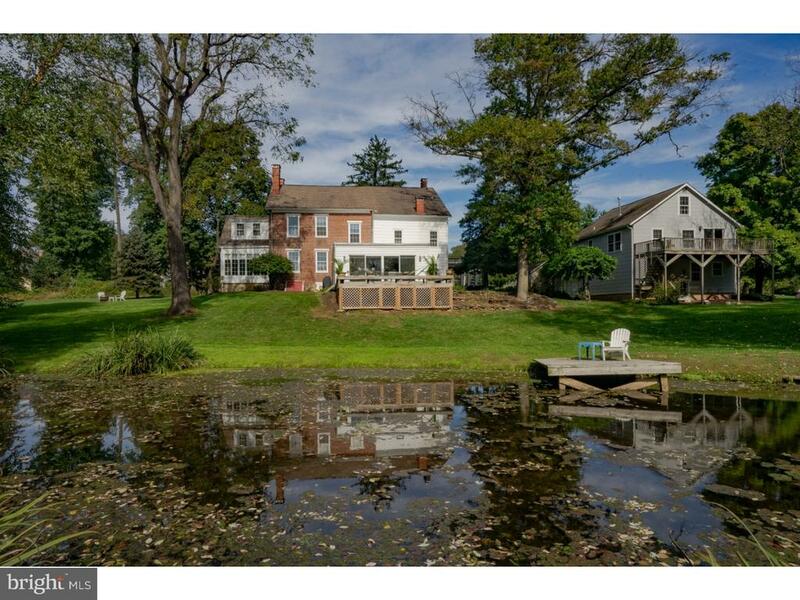 The property offers peaceful country living in one of New Jersey's premier locations, while just 10 minutes to Lambertville, 20 minutes to Princeton, and 45 minutes to Newark and Philadelphia Airports. Hopewell Valley boasts one of New Jersey's top school districts. Please contact agent for correct property tax information"
"New Construction in Hopewell Twp. Select one of our custom floorplans or design your own. Conveniently located in bucolic Hopewell Twp.Pennington. Commuter friendly location near transit stations. Enjoy Hopewell hiking and biking trails, Rosedale Park and Stony Brook Millstone Watershed preserved open space. Hop, Skip and Jump to Princeton's Palmer Square. Award winning Hopewell Valley Schools! Make an appointment today to meet with the builder. Builder is offering a discount of 50% off all structural and design upgrades up to $200,000 through December 31, 2018"
"Live in a country like setting while enjoying close proximity to downtown Pennington and Toll Gate Grammar School. This light and airy 7 bedroom home custom built by the owner, features over 6000 square feet of living space with a 4 car garage. Located at the end of a cul de sac, this prestigious home is showcased by custom appointments throughout. Enter through custom mahogany doors into a foyer that flows into several rooms with ease. The living room leads to a conveniently situated office or library(15x16). The dramatic family room accented by a magnificent floor to ceiling stone fireplace and an abundance of two story windows looks out to the over 2 acre property. The gourmet, eat-in kitchen will impress the fussiest of cooks and serves as a great space for sit down or on the run meals. The great room is complimented by a wall of French doors as well as a second floor to ceiling stone fireplace. The expansive dining room can easily handle any large gathering. The entire home has numerous amenities including a whole home state of the art sound system"
"Offering just the right dose of country living without sacrificing convenience -including a short stroll to Hopewell Valley High School and the library, Hedgecroft traces its heritage to pre-revolutionary times. Over its history it has been transformed into a comfortable, distinguished property featuring a turn-key farmhouse, well stewarded by the same family since 1968. Four bedrooms, spacious living areas, nine-foot ceilings, original wavy glass windows and wide plank pumpkin pine flooring, are just some of what you will find here. The home has been beautifully expanded over time with 3 finished levels. 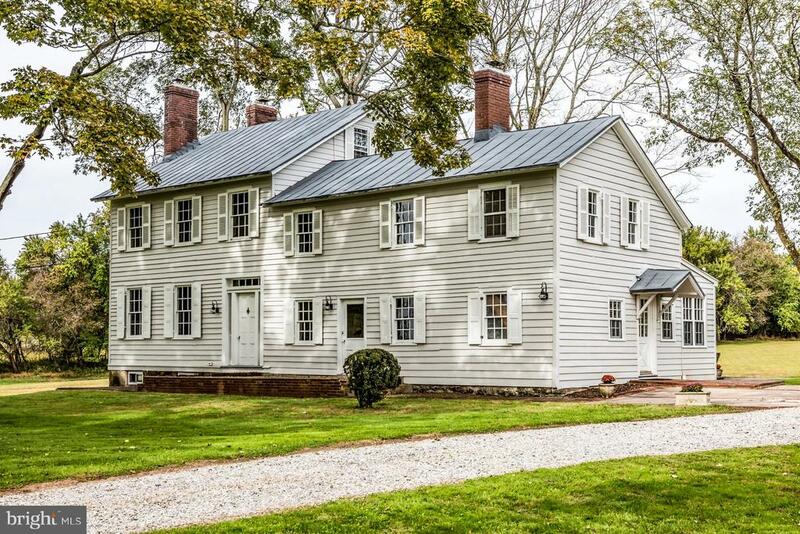 This property includes a mortise and tenon timber-framed barn with a cedar shake roof dating back to when novelist John Updike's great grandfather lived here, a smokehouse, carriage house and a tool shop on nearly 27 acres. From the house or on the stone patio enjoy broad views of the pond, stocked with bass, and the gentle green meadow beyond. Deer,fox, mallards, geese, heron, and red-tailed hawk visit Hedgecroft daily. Offered separately is an adjacent 6.97 acre building lot with it's own entrance from Scotch Road. The property is currently farmland assessed and buyer will be responsible for paying any rollback taxes should they elect to discontinue." "This glorious home in Elm Ridge Park is an absolute standout offering lifestyle amenities that will be hard to find elsewhere. Complemented by pretty plantings and a large circular drive, grounds are filled with the recreational comforts of a resort. Whether swimming in the pool, working out in the home gym, or sampling wines from the cellar, there is something for everyone. Upon entry, the foyer makes an impact with its grand vaulted ceiling. Rooms are elegantly appointed and enhanced from top to bottom with sophisticated moldings and finishes. The dining and living rooms are tastefully adorned. Beyond, the kitchen has been totally upgraded featuring professional grade appliances and so much more. The coffered ceiling in the family room, fireplace, and French doors to the pool make it the perfect place to entertain. Upstairs, the master bedroom comes complete with its own marble spa-style bathroom, sitting room with fireplace, and oversized closets. The other 4 bedrooms are in a wing to themselves with two bathrooms." "Here's the quintessential forever home with everything done right! 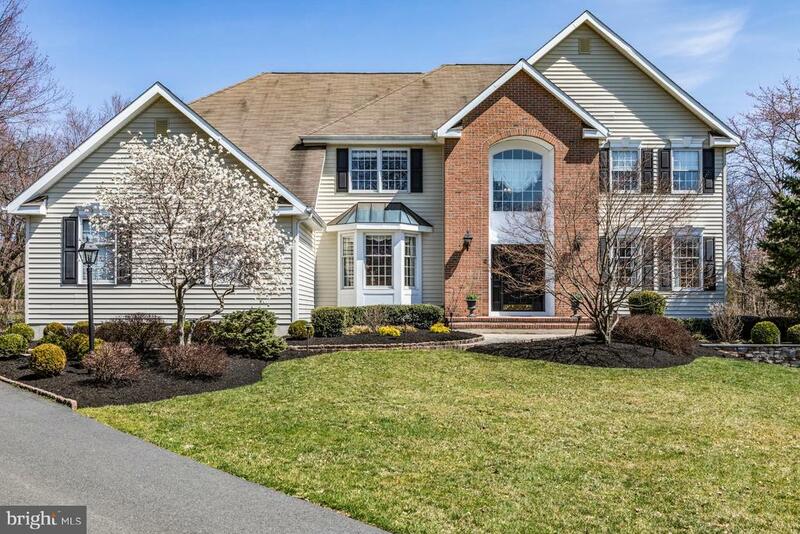 Located on a cul-de-sac right outside Pennington Borough, this home is simply stunning! Renovated to the highest standards, the custom bathrooms and an updated kitchen with high-end appliances including a 6-burner Wolf range and Sub-zero drawers in the granite island are all standouts! Light floods the elegant living and dining rooms. A marble surround fireplace and arched windows highlight the family room. The first-floor bedroom with a bathroom is ideal for inlaws or au pair. Downstairs, the daylight basement offers 4 different zones for entertaining and relaxing with glass doors that open to a patio. Sophisticated and lighthearted is the only way to describe the gorgeous master suite. Two rooms delineated by a columned half wall include a sitting room and bedroom. The en suite bath is clad in marble with a big soaking tub, oversized shower, and custom-built cabinetry. An updated hall bath with new cabinetry and tilework serves the other bedrooms." "Nestled in a peaceful double cul-de-sac, this contemporary style home with colonial features built by Kevin Burke sets the stage for seamless indoor and outdoor living and entertaining in a home that is grand in style, yet supremely welcoming.From the two-story foyer, generously sunlit by a French door with sidelights and glass arch, take in the home~s gracious scale and elegant appointments. To the left, a lofty living room with granite surround fireplace is spacious enough to accommodate a baby grand. To the right is the dining room with built-in china cabinet, and straight ahead is a semi-circular breakfast nook, a chef~s kitchen, and a wall of windows spanning the back of the home and framing a stunning view of a fully fenced backyard with outdoor spa amenities. Two sets of French doors offer easy access. The double lot yard is private and offers an extension of your living space with stylish covered outdoor living room, a cozy woodburning fireplace, bluestone covered terrace , full kitchen, hardscape patio, hot tub, and inground saltwater pool (which can also be converted to chlorine).Completing the first level are the home~s master suite with two-sided fireplace to warm the bedroom and bath; a bonus room with private entrance and a family room, sharing the home~s second two-sided fireplace; a laundry room; a half bath; and access to the home~s two-car garage. A spiral staircase leads from the family room to the partially finished basement, currently in use as a game/exercise room, with outdoor access, half bath and plenty of storage.On the second level, a landing overlooks the dining room, living room and foyer. A princess suite with private bath offers a view of the backyard, and Jack and Jill bedrooms share a sky-lit bathroom with two vanities.Throughout the home, the attention to detail is both upscale and meticulous, as evidenced with the tray ceiling in the master suite, the crown and dentil molding in the living room, the extra tall windows with tran"
"You can live in one of the grandest homes in the walking town of Pennington. Spend mornings sipping your coffee overlooking your own pond as the deer wander by. The home here at 3 Fitzcharles Drive is adorned with 2 story white columns across the front covered portico with a colored slate floor. The contrast of the white pillars against the rosie brick exterior is stunning as you make the turn off the main roadway. The property is known as the Noah Van Kirk house built in 3 phases beginning in 1820. The home was originally a small farm house which grew over the years. The success of the turkey farm on the grounds around it enabled the family to enlarge the house to become more of a plantation style estate, which could accommodate a growing family. Walking up to the house you pass thru a white picket fence to the front door, it leads you into the 8 foot wide center hall which greets you with high ceilings. The parlor, living room, and dining room have large openings on either side of center hall, the main staircase is set back, and each of the rooms has mantled fireplaces, accounting for 3 of the 5 fireplaces in the house. As you pass thru the parlor to the sunroom you find yourself in the coziest space in the house. The special sunroom has light that floods in from 3 sides as you overlook the western lawn. The room has large double doors that lead to the lawn where the fire pit is located. The kitchen is to the rear of the house with its terracotta floor and floor to ceiling sliding glass doors which lead to a wood deck elevated over a stream feed pond. The view is soothing with gentle green slopes leading down to the pond, trees and woodlands encircling the 2.35 acre property. The circular driveway is off to the side of the house and the home's main entrance. It leads you to both the detached 2 car garage with 2nd living unit above and to the welcoming side covered porch with slate floor. The side entry through the porch was the original front door. You enter a ves"
"Set back from the street on lushly-landscaped grounds, this elegant custom colonial home in Hopewell's coveted Elm Ridge Park, boasts the best life has to offer! Enhanced by tiered patios, perennial flower beds,gazebo, fire pit and outdoor grill area, the heated saltwater pool is the star attraction making outdoor relaxation downright enjoyable. Inside, a masterfully designed home is scaled to entertain. The sunken Family Room is the place for fun-loving hosts with a full bar and fireplace. It adjoins a lustrous Kitchen enriched by an expansive granite island and multiple zones to prep and cook. Appliances include Miele dishwasher, Thermidor cooktop and Sub-Zero refrigerator. Further adding to the vacation-at-home feel that permeates this home. The Master Bedroom Suite offers a gorgeous spa style bathroom, separate sitting area and large home gym with door to raised deck overlooking the pool. For the wine aficionado, don't miss the temperature controlled wine cellar in the basement. This property is located close enough to Princeton and Pennington to enjoy all those towns have to offer.This is truly an exceptional property complete with generator." "Truly picturesque and admired by locals and visitors that stroll the streets of Pennington Borough, this Historic home, has been lovingly maintained by the current owners for 55 years. Augustine Van Kirk was the Architect of Evergreen Hall, c. 1836, with an extraordinary vision. He also built Old Main now the Pennington School. This stately Federal style home, once a girls' school, offers 4 floors of living space for today's bustling households. A grand foyer welcomes you to the home's beauty: transom windows, restored and new wide plank flooring, decorative molding/trim, 10ft ceilings, updated windows and gracious entertaining spaces. The renovated, eat-in kitchen with exposed brick wall and built-in shelving, leads to the mudroom with backyard access. The upper floors offer great flexibility to utilize as bedrooms, guest suite, playroom, office and storage. A finished basement hosts the rec room and library with original brick flooring that showcases the history of this magnificent home. Set on almost an acre, this idyllic home is unrivaled." "A Stunning Contemporary Colonial that~s Move-In Ready Only four years old and in pristine, move-in condition, this four-bedroom, 2.5-bath home in the sought-after Estates at Hopewell development features high ceilings and gleaming, dark maple, hardwood floors nearly throughout; plush wall-to-wall carpeting in the playroom and bedrooms; and soothing neutrals on the walls. From the two-story foyer, glimpse the living room to the right, engagingly accented with denim-hued walls (the home~s one pop of bold color, expertly done), the dining room to the left, the powder room with pedestal sink nearby, and the second-floor landing above. A butler~s pantry pass-through leads from the dining room to the spacious, eat-in kitchen, where an oversized island with sink takes center stage. The cabinets are white, the backsplash is subway tile in complementary hues of pale gray, the countertops are dark gray granite, and the appliances, which include a gas stove, are stainless steel. A breakfast area looks out on the backyard and opens to the family room, where a gas fireplace flanked by tall windows provides a warmly welcoming focal point, and windows are fitted with custom plantation shutters. Down a short hallway to the left, built-in bench seating offers concealed storage, and leads to the laundry/mud room off the attached two-car garage on one side, and a carpeted playroom or study at the back. Upstairs, the highlight of the spacious master suite is the bathroom, with its twin sinks and oversized corner shower with glass doors, rectangular tile and built-in seating. 2 walk-in closets, and a large bedroom complete the suite. Three additional bedrooms, all nicely proportioned with generous closets, share a hall bath with twin sinks and a granite countertop. The finished, carpeted basement features recessed lights and plenty of storage, and has a plumbed-in room ready to complete as the home~s third full bathroom. Outside, a partially fenced backyard features a spacious stone pat"
"Prestigiously addressed in Elm Ridge Park surrounded by handsome homes, one lucky owner will get the chance to enjoy this fabulous, up-to-date house. Manicured, established plantings dot the landscape, which includes a patio and pool encircled by a picket fence. Timber floors throughout invoke a Hamptons beach house vibe with a Pottery Barn aesthetic. Details that will be appreciated include an open, granite kitchen that includes a Viking stove/range, Miele dishwasher, Jenn Air fridge that adjoins both the entertaining room and the year-round sky-lit sunroom, a gorgeous master suite with a fantastic walk-in/dressing closet, updated bathrooms...the list continues! French doors enclose the study to ensure some quiet time when working at home. The first floor laundry room with a door to the backyard keeps things organized. Three additional bedrooms utilize an eye-catching hall bathroom. Simple, classic, elegant lines define this home that is truly move-in ready. A real value in the neighborhood with Hopewell schools and close proximity to commuter hubs, you'll want to hurry to see this one!Home is generator ready, too!" 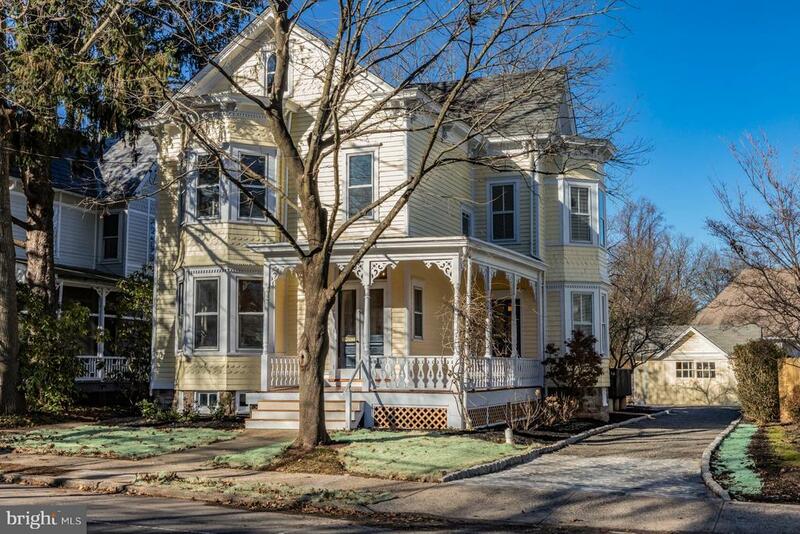 "This gorgeous, sun-filled, in-town Victorian represents the perfect marriage of old and new! A character-filled restoration speaking to the home's 19th century origins masterfully incorporates the best of today's technology while still retaining period features like wide pine floors, high ceilings,period mouldings and big sash windows. Still, from the all brand new electric wiring and new plumbing throughout to the latest highest speed internet & cable wiring in every room, plus high efficiency central air with dual zone heating and cooling, this historic home is outfitted like a 21st century modern. The kitchen is a showcase of gourmet design with an Italian appliance suite and Quartz countertops. Marble, granite and fine porcelains decorate the 3 new full baths and the new powder room. Both a gas and wood fireplace warm the living room and great room. The master includes 2 walk-in closets and a sophisticated private bath. Second floor laundry is a welcome surprise. Stairs lead to a finished loft, full bath and fourth bedroom on the third floor. A brick patio, deck and front porch wraps this home with many outdoor spaces to enjoy, along with new Belgian block curbing that flanks the new pebble driveway. Some of the photos include virtual staging." "Exquisite Custom Built property situated at the end of a winding road on a cul-de-sac, just minutes from the center of Pennington, shopping, and the schools, this is truly a special home ! Benjamin Trail provides quiet and solitude, facing and backing woods. . Inside, the surprising scale of this home munificent. This is a main floor master suite home.The main floor open floor plan features an English Library style imposing Stair case on 3 floors, 3 Levels Wall Of Windows. The Library to the right features French doors. Step Down Family Room, Double Sided Stone Fireplaces, French Doors To Screened In Sunroom. The totally renovated eat in kitchen will meet the approval of the most exacting Chef: With Breakfast Bar/Island, breakfast room and butler s pantry. The 1 St Floor Master Suite. With a bedroom size walk in closet ,Level 2 Has Three Bedrooms And Bath, Level 3 has a 25x15 multifunction bonus room. A 4 people sauna, an office, play room or arts and crafts room are just a few of your choices. Neutral colors through out. Outside, the spacious deck overlooks nature and is enhanced by a hot tub. 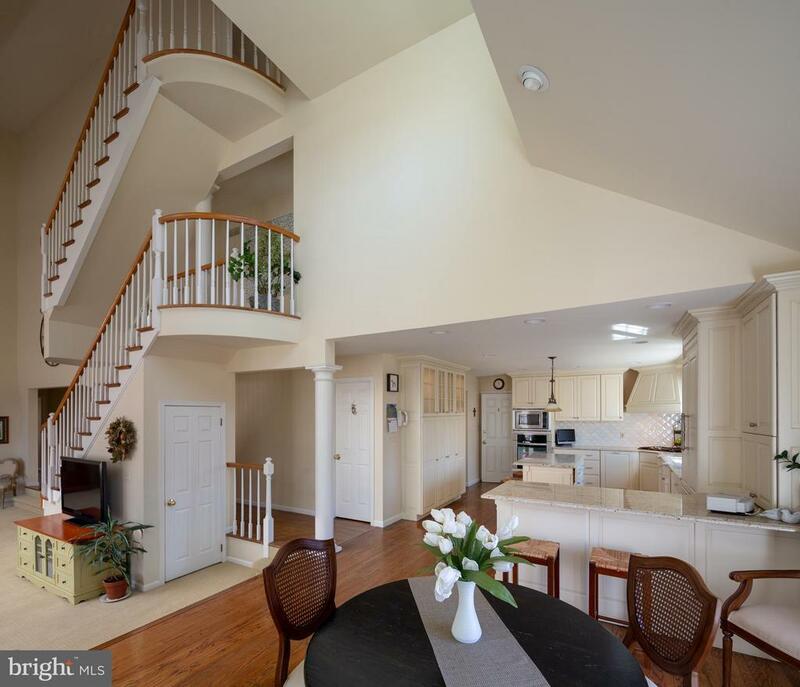 Close to Rts 295, 95, 31, air and rail transportation, easy commute to Princeton, Phildelphia." "Location is key! 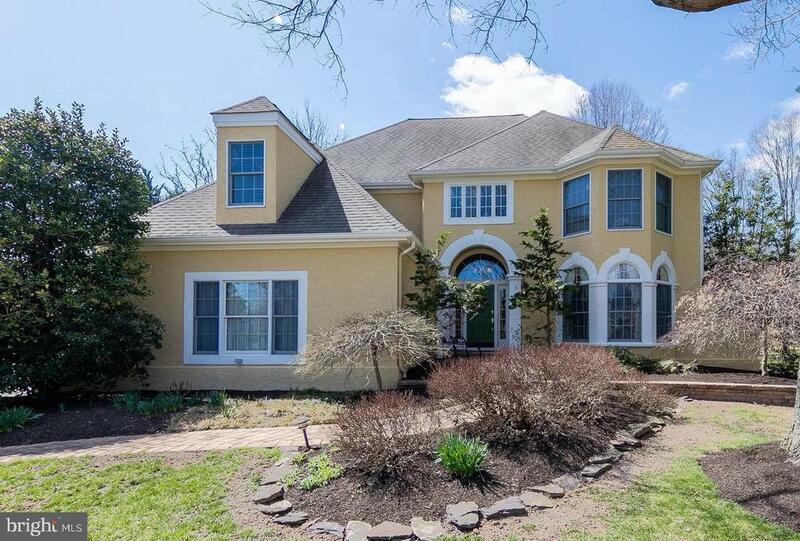 This beautiful custom built home with meticulous landscaping is situated on a private cul-de-sac in Pennington Borough. Within walking distance to to Tollgate Elementary School, part of the award-winning Hopewell Valley Regional School District, and downtown Pennington's quaint shops and restaurants. This uniquely designed and spacious home starts with a gracious grand foyer, open to a large formal living room, and an entertainment sized dining room accented by a bright floor to ceiling bay windows. The relaxing family room is large enough to accommodate many around the centrally located fireplace and is ideally adjacent to a huge kitchen featuring a breakfast bar, generous cabinet space, and open dinning area with lofty ceiling surrounded by large windows continually presenting a clear view of the yard you've always wanted. This main level also includes a convenient office nook, powder room, laundry and a mudroom. Upstairs there are four nicely arranged bedrooms including the master suite with large bathroom and wardrobe. The balcony hall leads to additional bedrooms boasting generous closet space, wonderful natural light, and pleasant views, all served by a hall bathroom. But there's more! The beautifully finished basement (approx. 1500 sq/ft) offers endless recreation opportunities. Arranged entertaining family and friends it features a large gathering or lounge area with gas fireplace, wet bar, billiards and gaming area, plus a powder room, office/hobby room, and ample storage spaces. The office/hobby room was used as an insulated music room. The Custom millwork and built-ins are found in all the right places. Additional features include an attached garage, large driveway, sprinkler fed lawn around the house and rear sundeck. All this, ideally situated at the end of a cul-de-sac in a community of fine custom homes within Pennington Borough, served by public utilities, with easy access to major shopping and transportation opportunities. Don't"
"Custom built, north west facing home with meticulously maintained 5 bedrooms, 3 full baths on 1.96 beautifully landscaped acres. With sweeping rear views of wooded area and total privacy. An abundance of natural light floods into the bright and open two-story grand foyer. Hardwood floors run throughout this well designed home with many interesting spaces. Modern eat in kitchen. Upstairs master suite is the ultimate refuge with walk in closet and sitting area. Three other ample upstairs bedrooms and a separate wing and staircase make this property unique. Totally move-in ready. No shortage of style or curb appeal in this beautiful one of a kind home nestled on a quiet Cul-De-Sac, private yet minutes from the center of Pennington. 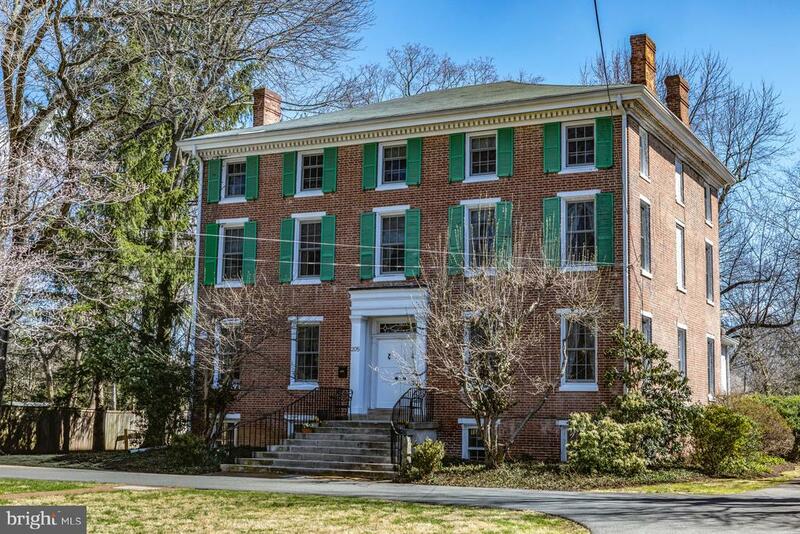 Easy access to local shopping, Starbucks, downtown Princeton and the I-95/Route 1 corridor."